Giardia is a common affliction of pets’ digestive tracts caused by microscopic parasites. These parasites can also affect humans, so it’s important to understand what Giardia is and how our Peninsula Dog and Cat Clinic veterinarian here in Portland diagnoses and treats the disease and the symptoms it causes. Giardia is caused by a microscopic organism that gets into the intestinal tract of its hosts and generally causes a variety of symptoms although some pets may not have any symptoms at all. How Do Pets Get Giardia? Giardia is spread through the feces of an infected animal. Pets can pick up this parasite in several ways including playing in dirt contaminated with feces carrying the organism, drinking from a contaminated water source, licking a contaminated object, such as a litter box or crate, or eating infected feces. It’s important to note that Giardia is not the only parasite that causes intestinal disease, the others being Coccidia, Cryptosporidia, and Toxoplasma. How Does the Portland Vet Diagnose Giardia? Since the parasite is not found in every stool, our vet may need to test three separate stool samples taken on three separate days. Since this infection is often difficult to diagnose, the vet may need to perform several tests to confirm the pet has Giardia. Giardia is generally not considered life-threatening except for in very young puppies and kittens and old dogs and cats. However, if any pet becomes severely dehydrated it can also become life-threatening. How Can I Prevent Giardia? The best way to keep your dog or cat protected from this parasite is to keep your pet’s water bowl clean and away from where animals have pooped. Also, don’t let your pet drink ponds or other places that could be contaminated with the feces of infected animals. Also, for known contaminated areas, disinfect with a solution of chlorine bleach in water at a ratio of 1-2 cups bleach in 1 gallon of water. This is also necessary to prevent the disease from possibly spreading to you or your family. Humans can indeed harbor the Giardia organisms in their intestines, but according to our vet, most cases are spread human to human with few pet to human transmissions. How Does the Portland Veterinarian Treat Giardia? Our veterinarian typically prescribes the antibiotic metronidazole for a five to seven-day course of treatment. Sometimes we will combine it with the anti-parasitic drug, fenbendazole, for cases, mostly in cats, when the diarrhea is not clearing up with the antibiotics. 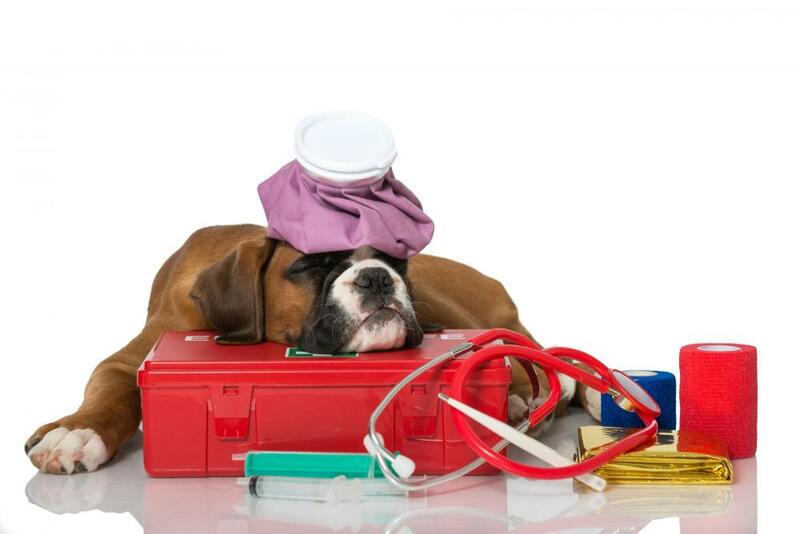 If the pet has become dehydrated, other testing and treatments may be necessary. If your pet exhibits any of the signs of Giardia, be sure to call our vet here in Portland promptly.